A Mexican national who has been deported at least three times from the United States was sentenced Monday to eight months in jail for felony domestic battery against his girlfriend. Adrian Ayala Rodriguez, 23, is not a newcomer to the Blaine County court system, having been prosecuted before for battering the same woman. Fredback noted that Rodriguez has been prosecuted four times now for crimes against the woman. The first three were settled as misdemeanors, though one was initially charged as a felony, and Rodriguez was deported each time. 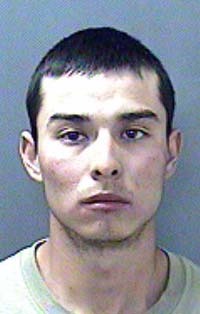 The fourth offense, occurring in Hailey on May 25, was charged as a felony, a crime that Rodriguez pleaded guilty to in September in exchange for three lesser offenses being dismissed. Those offenses were possession of a controlled substance, possession of drug paraphernalia and intentional destruction of a telecommunications line. Fredback asked for a five-year prison sentence for Rodriguez, but 5th District Judge Robert Elgee ruled otherwise. He gave Rodriguez credit for about 200 days already spent in jail, meaning that he will be released in about 40 days. But his release will be to the U.S. Immigration and Customs Enforcement Agency, which will most likely deport him once again. Elgee also gave Rodriguez a seven-year suspended prison sentence, a sentence that the judge said he will not hesitate to impose of Rodriguez is found again in the United States. Sentence pronouncement followed a lengthy argument for leniency from Hailey attorney Douglas Werth, assigned as public defender in the case. Werth further said that Rodriguez comes from a violent family background and is trying to change that cycle of violence in his own life. Werth noted that Rodriguez’s mother is now remarried and that the 7-year-old daughter currently lives with her and his stepfather in Mexico.